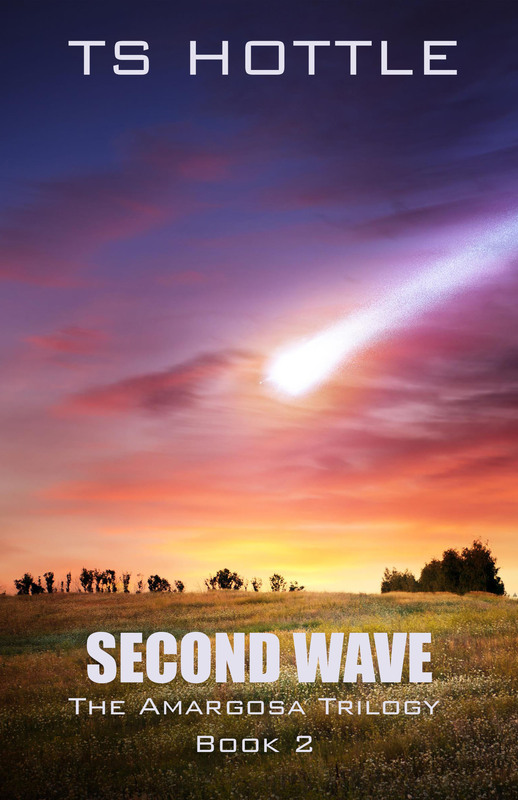 Second Wave is free this week on Kindle. When we meet Davra Andraste in The Children of Amargosa, she is in her pajamas running for her life. She lives on the orbital station over Amargosa when it is destroyed by the Gelt. That’s the first scene in Children, her fall from orbit and the start of her run for survival. But Davra is no more a soldier than JT Austin. She is a nerd, hoping to go to a science academy on Tian, the Compact’s wealthiest planet. Instead, she finds herself trying to convince fearful surface dwellers that she’s not an alien. It’s Eric Yuwono, a youth cadet pressed into service during the emergency, who tries to guide her to safety. They eventually meet up with two other teens, Duffy and Nardino, just a few hundred yards from the ship that will whisk them away. Only the ship is destroyed moments before a fusion device levels the nearby city of Lansdorp. They flee to a nearby subway tunnel, but it’s Davra who leads them through the pitch black, then out of the ruined city. After a dangerous encounter with Lucius Kray’s militia, she and the others are rescued by Marines headed for the Misty Mountains. But it’s Davra who sees that the maglev is still functional. She has no combat experience and has come to the surface having been mostly a bookworm. By the end of Children, she will be forced to become a soldier, even improvising weapons. At the start of Second Wave, she is at the guard post with JT Austin when they witness the fall of the Ban Ki-moon from orbit. Davra is disappointed to be excluded from the team sent to contact the fallen starship. But while Eric Yuwono is offended his skills from being a cadet are ignored, and JT has a promise to keep to his late wife, Davra is simply bored with being the resistance’s resident brain. This might be chalked up to being a bored teenager as she is fourteen when Children begins, but by disobeying orders, she will set in motion events that may accelerate the end of the occupation.